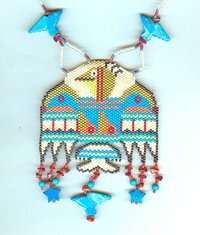 The Native American inspired pattern is the work of the massively talented Valerie Hixson. Eye-catching colors make the symbols really pop! Peyote stitch gives the piece a soft feel, almost like that of a stiff fabric. 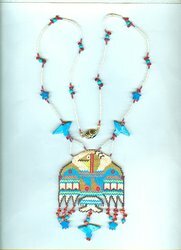 It?s embellished with turquoise howlite charms and coral beads. 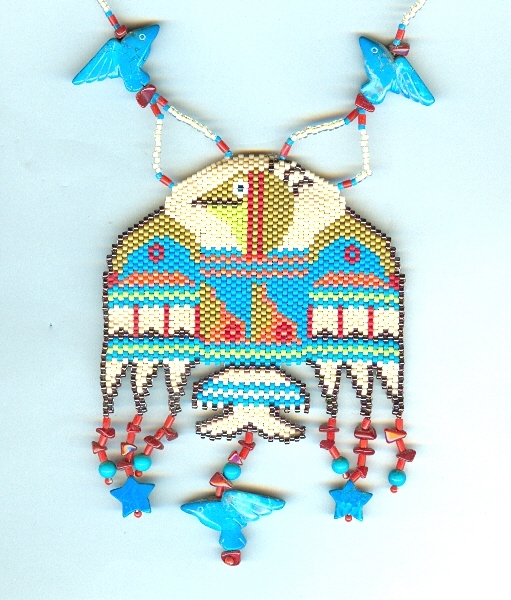 The pendant measures about 3" wide by 4-1/4" from the top of the pendant to the bottom of the longest bird charm. 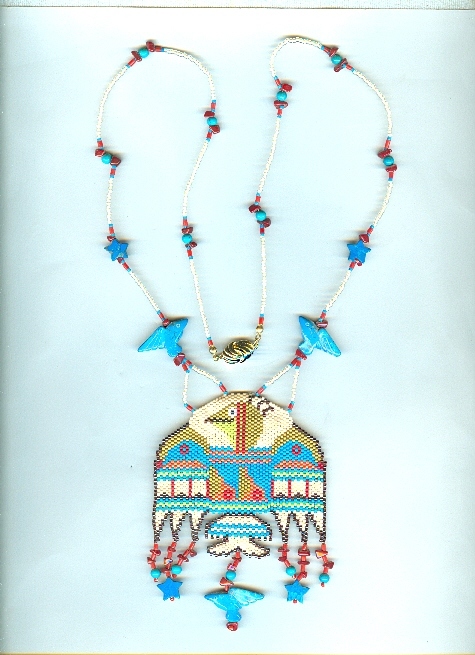 The strand measures about 25", features more turquoise howlite and coral, plus vanilla-coloured glass seed beads. It closes with a gold plate bullet clasp. Bright colors and outstanding needlecraft: it must be from SPARKLE PLENTY.